I’m going to start this review by mentioning that I received a free copy of “Revealing Heaven,” by John Price, for participating in the TLC Book Tours campaign for the book, in part to get the whole legal disclaimer thing out of the way, but also because the fact that this book came to me without me looking for it is relevant to what I got out of it. The primary focus of the book deals with near-death experiences, how they relate to scripture, and what they say about God and heaven. 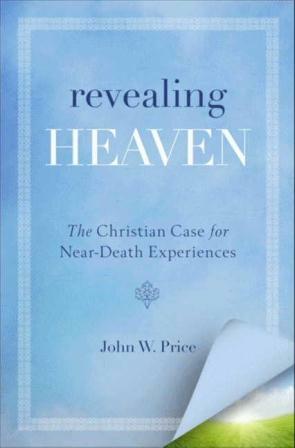 Price, an Episcopal pastor and a hospital chaplain, has taken great interest in the subject, and in this book combines the results of both his readings and research on the subject and personal interviews he has conducted with those who say they have had near-death experiences. I’ll be honest, I approached that primary focus with a large degree of skepticism. I have to admit that if you taken his explanations of his research as true, he makes a very convincing case. I also have to admit that I don’t have a strong counterargument to his conclusions. However, being honest, I don’t know that I’m ready to fully take the leap of accepting that his explanations and the stories he was told are infallible. The implications of the case he makes here would be huge, and it’s hard to fully understand how they could be true without having had that huge impact. However, I am forced to leave the book with a much more open mind on the subject, and imagine I’ll be paying it much closer attention in the future. Equally intriguing to me was the meta-story of the book, a look at the reality of the modern church. 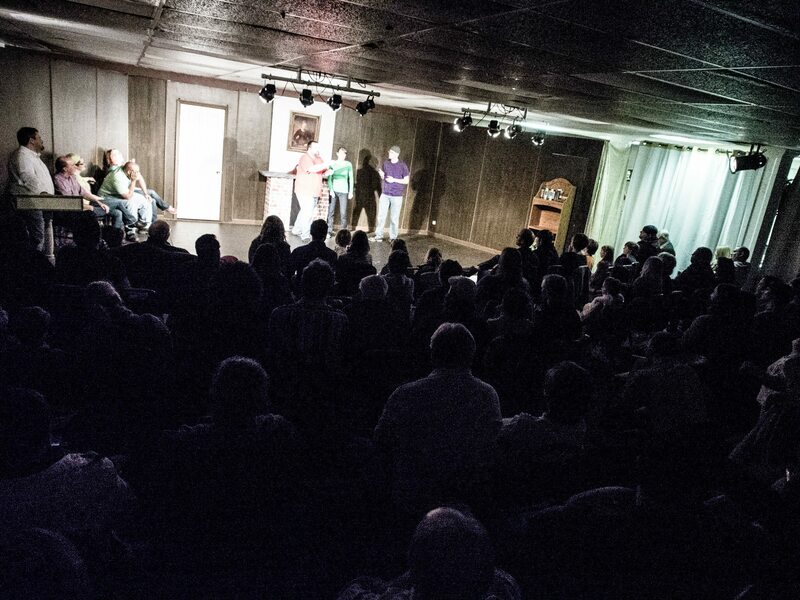 Price began his career as a pastor not truly believing in heaven or an afterlife, and had been trained that way in seminary. It was interesting to discover new aspects of the diversity of the modern Christian church, and to read about large elements thereof that believe in a very mundane supernatural. On the other end of the spectrum, he recounts stories of pastors who lost their job because they stopped preaching an angry God in favor of a loving one. The book brings home just what a wide array of beliefs the word “Christian” covers. I was particularly either challenged or encouraged by his final analysis — that the lesson to be learned through all of this is that, as scripture says, God is, quite literally, love. Challenging because I like his conclusion without necessarily being ready to fully buy into the math that got him there, encouraging because, as I said, this book found me at a time that it echoes a place my personal journey has been taking me. Whether you agree with it or not, “Revealing Heaven” is a fascinating book with challenging ideas for those interesting in having their horizons broadened. This is less a food review than it is a sad look into the mind of someone who overthinks things way too much. So Burger King has cheesy tots. I heard this, and wanted some. So I ate some. When I got there, they had a picture of them on the sign out front. And they weren’t at all what I was imagining. I was picturing regular tater tots, but with cheese in them. The things in the picture were bigger, and looked cheesier. 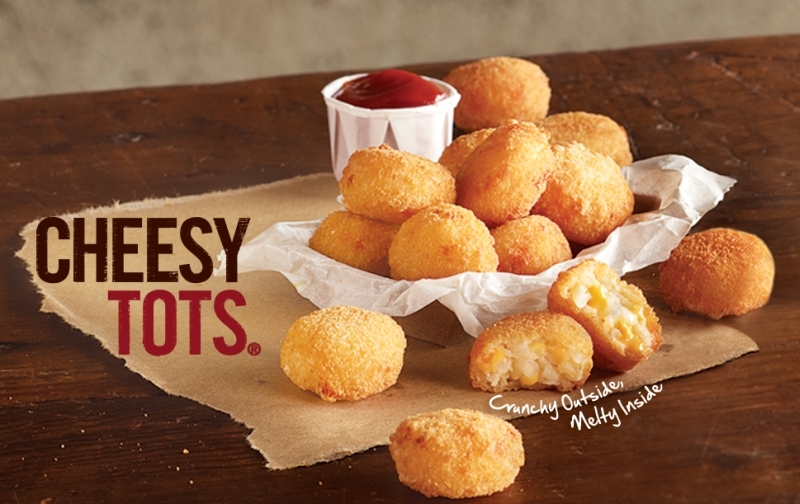 At this point, I’m picturing some sort of tot that’s got potato filled with tasty, gooey pockets of cheese. And then I get them. And it’s basically regular tater tots, but with cheese in them. Yes, they’re bigger than regular tater tots, but the difference in size doesn’t reflect a real difference in substance. You can taste the cheese, but it’s not the gooey pockets of cheese I was envisioning. So they’re fine, but I’m a little disappointed. I wanted gooey cheesiness, and didn’t get it. On a technical note, I think a different cheese might also have made them better, but that’s just me. But again, that’s not a criticism. ‘Cause then I’m reevaluating, what if I’d heard about them, but hadn’t seen the picture on the drive-through sign. At that point, they pretty much would have met my expectations, and I would have liked them just fine. And then I’m telling someone about them, and I’m having to do the whole story — what I expected, how my expectations were changed, and how my opinion was colored by both sets of expectations, and that’s when I realized that, to be as navel-gazing as possible, I should write a blog post about talking about how Burger King’s cheese tots measured up to what I thought they should and could be. Point being, they’re not bad. Try ’em. They could be better with more and different cheese, though. And as a bonus for reading this far — the Avocado Whopper is pretty good. The Philly Chicken Sandwich is lackluster. The fudge bites ain’t bad at all. According to an old story that’s circulated the internet for years, the dimensions of the space shuttle’s solid rocket boosters were prescribed by the width of a horse’s rear end. The story goes from Roman chariots that were made wide enough to accommodate the back end of two war horses to British roads that were built for those chariots and ended up with ruts where their wheels were to Engish wagons that were built wide enough to fit those ruts to trains that were built from the jigs and toolings for those wagon and thus U.S. railroads were all built to the width of a Roman chariot and thus based on the width of two horse’s butts. And then it takes it a step farther to the fact that the shuttle solid rocket boosters were designed to be transported via rail and thus had to fit through a railway tunnel determined by the width of a train and thus, yadda yadda, horses. The particulars of the story get some stuff wrong. U.S. railways didn’t originally have a standard gauge, and were built to a variety of widths before being standardized, so there was no particular magic number that they had to be. On the other hand, it’s also worth noting that the original railroad cars were horse-drawn, so there was a more direct connection between the widths of train tracks and horses, so there is some basic truth to the story, even if the particulars aren’t exactly right. I was thinking about this story again recently because of interesting fact I learned about the Space Launch System rocket I’m honored to support. The core stage of SLS is 27.6 feet in diameter, because it’s designed to have the same diameter as the space shuttle’s external tank in order to more effectively take advantage of existing manufacturing and launch facilities. We were talking about that at work, and the question came up as to why the shuttle’s external tank had that diameter. We suspected at first it, in turn, had something to do with the facilities left over from the Saturn days, but weren’t able to find the answer anyway. So I called someone I know who worked on the external tank, and asked him. And the answer has to do with the fact that the shuttle’s solid rocket boosters were to be mounted to the side of the external tank. Given the volatility of the fuels inside the tank, you wanted the attach points to be somewhere on the structure off of the fuel tanks inside it. The length of the solid rocket booster had already been established, and that determined what the length of the external tank would need to be to properly accommodate the attach points. The engineers knew what the volume of the tank had to be in order to hold enough fuel for launch, so once the length was established, the diameter was just a question of division. Which means that the next time astronauts fly around the moon, they’ll be launched on a vehicle with a diameter determined loosely by the width of horses’ butts. There’s wisdom, and then there’s wisdom. Back when I was working for Cottage Senior Living, I had the chance to interview a guy who was living at The Commons, the 55+ active-adult apartment community. And while the gentlemen, Bill, was definitely in the 55+ category, he was also definitely in the active-adult category as well. 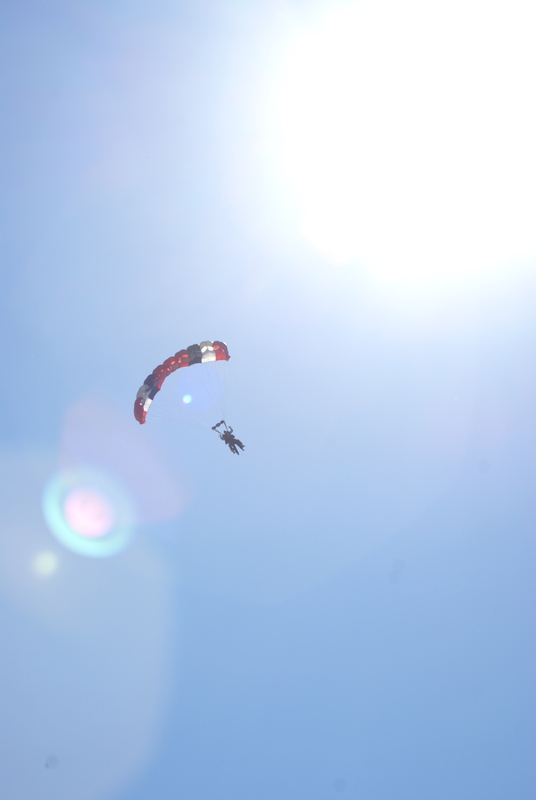 Most notably, several years back, he had started skydiving for his birthday every five years. Most recently, he had jumped a couple of years ago for his 80th. There were plenty more interesting parts to Bill’s story, like how he had built his own airplane or had the chance to fly a helicopter, and it made for a really good story for capturing the sort of people that might be interested in The Commons. But as much as I loved meeting Bill and want to be like him when I grow up and loved his story professionally, the thing that really stuck with me was a story he told about his late wife. One on of his skydiving adventures, he asked his wife to join him, and she agreed. She got all sorts of questions, he said, about whether she was too old and so forth. What if something happens to you, people would ask her.